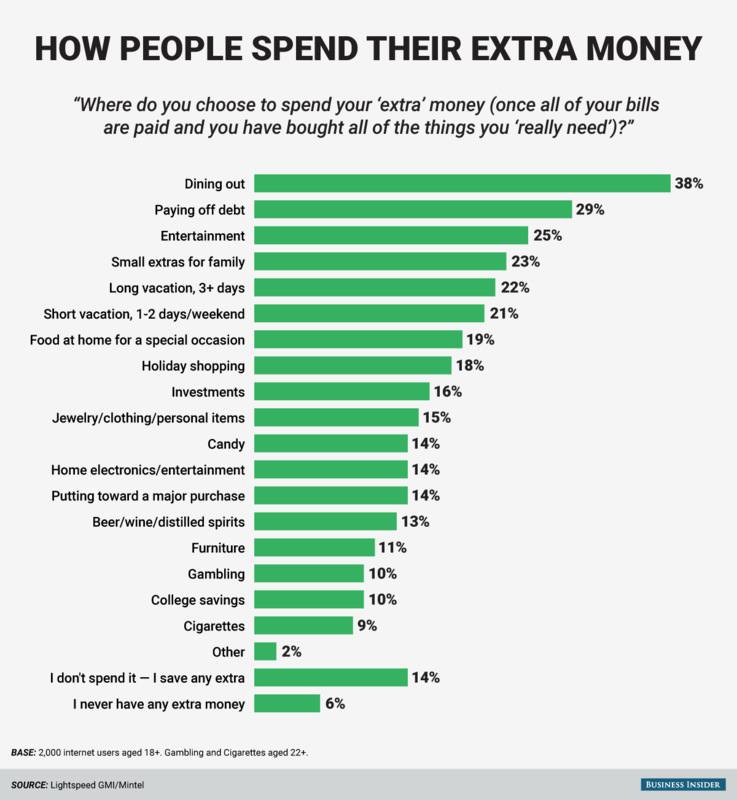 Where do consumers spend their extra money, once they have paid their monthly bills? 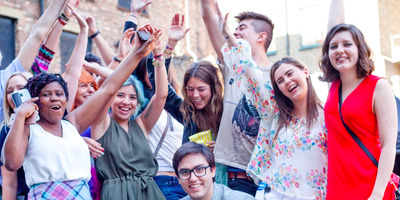 Mintel surveyed 2,000 Internet users age 18 and up to find out exactly where they’d prefer to spend extra cash. 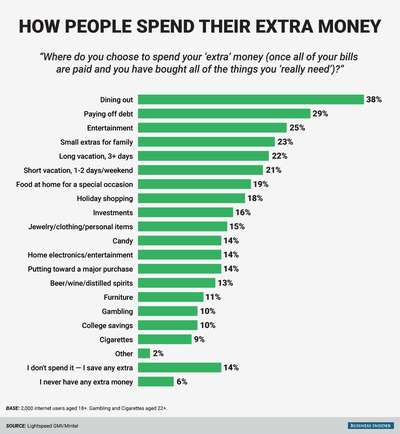 Most people surveyed said they’d prefer to spend it on dining out, followed by debt, which shouldn’t be too surprising. But after debt, people said they’d spend extra money on entertainment, vacations, and their families.